Courtesy of Paragon Premier Properties, Cheryl Davis. 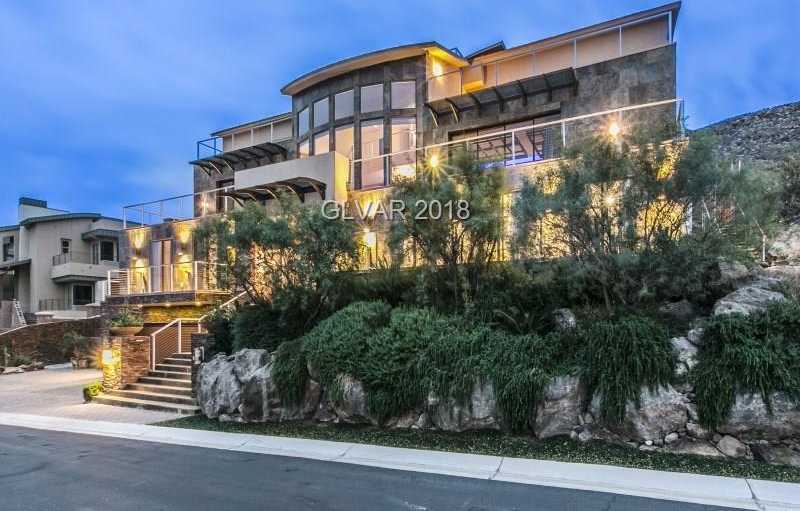 This Contemporary Custom home features an open floor plan w/ amazing panoramic strip/ city/ mountain & golf course views from almost every room* Top of the line custom finishes include imported marble throughout & onyx in all baths All bedrooms ensuite* Master Chef’s kitchen* Glass wine Cellar *Theater room* Huge Master* Media room * A must see! Please, send me more information on this property: MLS# 2003007 – $5,975,000 – 1703 Tangiers Drive, Henderson, NV 89012. I would like to schedule a showing appointment for this property: MLS# 2003007 – $5,975,000 – 1703 Tangiers Drive, Henderson, NV 89012.